Valuing your property gives you a good overview of the average rates within the area, and provides a solid indication of what you should be charging your tenants per month. The value of your property is based upon its condition, the size of the property, the current market and the local neighbourhood. Lifestyle Property have many experienced valuers and our knowledge of the current property trends combined with our extensive experience means you can be sure your property is valued accurately. We’ll never purposefully give a low valuation – we want to get the best rate for you, whilst making your property an attractive choice for home-seekers. Depending where your property is located, the rental market can be quite competitive so having a stand-out property can give you the edge, but how far do you go? When do you stop? Lifestyle Property have over 15 years of lettings experience and can work with you to determine how each potential improvement can affect your expected return and prevent any future issues. Presenting your property in a clean and tidy condition can sometimes make all the difference. You would be surprised at how many landlords underestimate the power of presenting a clean property. Small, inexpensive extras can also make a big difference, but you will want to make sure these extras are durable and long lasting to see maximum results. A fresh coat of paint, tidy garden, and clean carpets all give the feeling of a clean, spacious property. Making your property attractive is not just about aesthetics – it is also about presenting a property that’ is structurally sound and up to scratch. Tenants want a home where they can feel safe. As a landlord, you will need to tick a few boxes before you can legally move tenants in, including having an up-to-date gas safety check, an electrical certificate, an EPC, and ensuring fire escapes are accessible. Lifestyle Property can provide landlords with information regarding their legal responsibilities in terms of the property itself. Lifestyle Property offer landlords two main services depending on how involved a landlord wants to be with their property letting. Our Let Only service is a plan in which Lifestyle Property will find the right tenant for your property, draw up the tenancy agreement, complete credit checks on the tenant, collect references and set up the rent standing orders. After the set up, and once we know that you are happy and confident in dealing with the tenancy, the rest is up to you. The landlord is then responsible for ensuring rent payment and repairs. Our Full Management service, as the term suggests, offers complete management of your property. This means that we will correspond with tenants, ensure rent is paid on time, inspect damage and arrange for repairs and maintenance. Many other lettings agencies may take over completely at this point, only communicating with the landlord if there is a repair bill to send on. This is where Lifestyle Property is different. If there is a repair to be done, we contact the landlord first and give them the choice of either arranging the repair themselves or asking us to deal with the arrangements. With effective communication the landlord is always kept in the know. As a landlord, you will be assigned a dedicated Account Manager at Lifestyle Property, which means that both you and your tenant will only ever discuss the property with your Account Manager, or with somebody familiar and fully up to speed with your property. With our solid experience and outstanding reputation, we can help you find the best tenant for your property and create a situation where both landlord and tenant are more than content. Based upon your property valuation, Lifestyle Property will help you achieve the best rental for your property based on current market conditions. We’ve worked in the industry for 15 years, we’re up-to-date with inflation rates across the country, and we can determine a suitable rate based upon similar properties we’ve successfully let in the recent past. How Lifestyle Property determine a suitable rental rate is to not only consider similar properties in the area, but also take into account your personal situation and circumstances. If, for example, you purchased your property with a mortgage, we’ll ensure that your monthly rent covers those outgoings whilst still providing a healthy return. At Lifestyle Property, we’re confident that we can let your property quicker than anyone else, but this doesn’t mean that we compromise on price. We’ve seen first-hand what tenants are willing to pay for different types of property in different areas, and it’s this experience that really gives us the edge. A good marketing strategy is the key to minimising downtime and maximising potential, but we understand that not all landlords are familiar with current marketing techniques. This is where Lifestyle Property really shine. Firstly, we’ll work with you to determine which demographic we should be targeting as we’ll tailor our techniques to appeal to those who we believe to be searching for similar homes within the area. Lifestyle Property market properties extensively both on and offline. This includes local magazines, placing listings on some of the UKs biggest and most high profile meta search websites such as Zoopla and RightMove, and marketing via our own website and social media through the use of SEO-friendly content which increases our visibility all across the web, making us one of the first agents that home-seekers find when searching for properties. Whatever demographic you’re targeting, you can be sure that we’ll market your property extensively, and it’s our dedication to this that helps us to let properties quicker than anyone else. Lifestyle Property are confident we can let your home quicker to suitable tenants than the competition, and we do this via three distinct methods. Firstly, we use our clever marketing strategies to expose your property to both the private and corporate sectors, so we fully expect a large number of interested parties for each property we advertise. We accompany potential tenants on viewings and around the property so that we can answer any questions, gauge interest, and use our passion for the industry to highlight what we believe to be the best aspects of your property. Secondly, we use an extensive process to assess the level of risk associated with each interested party, giving you the landlord the ultimate decision in which tenants to accept. We will only accept either a passport or driving licence as a suitable form of ID. The tenant will further need to provide 3 months worth of bank statements, an employer reference, recent wage slips and a utility bill. If a tenant is self employed then we ask to see their accounts records. Thirdly potential tenants must provide documentation proving that they earn at least 2.5 times the rental value (or 3 times for a guarantor of a single tenant) to minimise the risk of missed payments or bankruptcy. This can be spread over multiple renters, for example a working couple who between them earn the minimum amount of rental value. Lifestyle Property work with verified credit reference agencies to conduct thorough tenant checks, and we’ll also arrange specialist insurance that protects you should a tenant not comply with their tenancy agreement. You can be sure that we’ll only put forward tenants who we would want in our own homes. If you’re new to letting, you may not understand the laws surrounding rental deposits, but don’t worry, the staff at Lifestyle Property are up-to-date with all current legislation surrounding the taking and returning of deposits. Currently, it is your responsibility as landlord to place the deposit into a government-backed programme within 30 days of receipt. You can place this deposit into the Deposit Protection Service, MyDeposits, or the Tenancy Deposit Scheme. What these schemes do is to protect both you and your tenant, giving you both peace of mind. Should a tenant comply with their agreement, the scheme ensures they receive their deposit back at the end of the tenancy. Should a tenant fail to comply with the agreement, the programme is there to protect you from the high costs associated with fixing any damage or destruction to your property. When both parties agree on the percentage of the deposit to be returned, you must do so within 10 days. Are you ready to fulfil your legal duties as a landlord? If you’re new to letting, you may not be aware of what you need to do to remain law compliant, but we’ve got that covered. Lifestyle Property have full knowledge of the legal obligations which require landlords to register tenant deposits in a government approved scheme, obtain a gas and electricity safety certificate and an Energy Performance Certificate (EPC). We can ensure you and your property meet current legislation criteria, reducing the risk of problems further down the line, and ensuring you’re covered if anything goes wrong. Lifestyle Property will draw up a tenancy agreement on your behalf and to your stipulations. 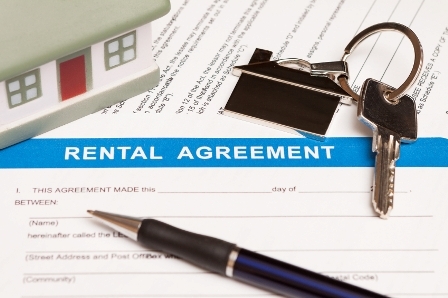 In most cases, the type of tenancy will be AST (assured short hold tenancies), so drawing up a tenancy agreement is relatively straightforward and includes the length of the agreement, tenant obligations, bills and rates, and details regarding on-going repairs and maintenance. A shocking number of landlords do not have specialist landlord insurance. While they may be happy to take the risk, what this means is that should there be extensive damage or theft within a property that is legally rented, regular homeowners insurance is void and will not pay out. There is a reason why landlord insurance exists as a financial product – it covers all the basics such as fire, flooding, theft and so on, but also includes extras such as malicious damage by tenant, theft by tenant, and protection in cases of unpaid rent. This insurance does not cover a tenant’s personal property, so it is the tenants’ responsibility to purchase suitable contents insurance. Landlord insurance has a bad reputation for being costly, with reports claiming that premiums can be up to 25 percent more than regular homeowners insurance. Here at Lifestyle Property, we’ve got great working relationships with some of the best insurance providers across the country, so if you arrange your landlord insurance through us you can be sure you’re getting the best deal. One of the final tasks we recommend landlords perform before moving tenants into the property is to compile an inventory and schedule of condition report, which can be signed by the tenants on the first day of the tenancy agreement. The inventory should cover any furnishings or any of your own personal items which will be remaining in the property, such as crockery, sofas and chairs, tables, beds, wardrobes and so on. The schedule of condition report should focus on the state of the property, demonstrating which areas are up to scratch, and noting any existing damage. Lifestyle Property can assist with the inventory and schedule of condition report. As an outside party, we are able to recommend a specialist company who can handle this on your behalf. We usually conduct a scheduled, accompanied visit on the day your tenants move in to your property, and will inspect the property following the end of the agreement to check the condition of the property. Based upon this inspection, we can help you correspond with your chosen tenancy deposit programme to ensure both you and your tenants have the agreed amount of cash returned. The best day for both landlord and tenants is moving in day. The landlord can sit back and relax, knowing that their property is being lived in and is in good hands. The tenant can start to unpack and make your property, their home. Obviously the deposit registration certificate will need to be handed over and contact details given. If you have opted for a Let Only service, then you will give the tenant your contact details in case there are any problems. If you have chosen the Full Management service then we will give the tenant our contact details and will take over the effective management of your property whilst always keeping you fully informed. The last things to hand over are the keys to your tenants’ new home. Lifestyle Property are not here to make a quick buck at the expense of the landlord. Our pledge to you is to offer a great service, through our extensive knowledge and expertise, which will result in a happy tenant and happy landlord. What better success rate of a company than to show happy and satisfied clients? The rental market may be prone to fluctuation but here at Lifestyle Property you will always find a steady and reliable service. We look forward to dealing with you in the very near future.